Have you had the same look for years and years? Are you getting tired of looking at yourself in the mirror? Do you want to shake things up and try something new? If you are looking for a few options that are fast, easy, and most importantly will create a whole new look for you, then here are some ideas to consider. Two of the more popular options are hair extensions or hair coloring. Hair extensions can give you longer, more dramatic hair in just a single afternoon. There’s no need to wait months or even years to grow your hair out. Instead, just a single visit to your local professional hair salon can provide you with the long, lush, and beautiful locks you’ve always wanted. And once you get tired of them, you can always have them taken out. Similarly, having your hair colored is another dramatic way to change your look. People you know are sure to look twice anytime you walk into a room once you have a new hair color. There also are wigs, braids, and even dreads that can change your look. But a better option is treating yourself to a Brazilian keratin hair straightening treatment by Maria Teixeira. Keratin treatments give you the kind of flat, straight hair that instantly make you more attractive and change your look for the better. You will love your lush, longer looking hair that provides you with a sophisticated new look your friends and family will adore. 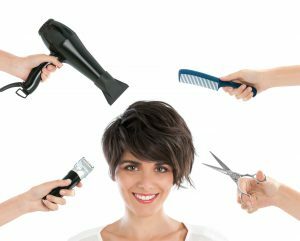 So if you want to change your look for the better in a single afternoon, tell your hair stylist to give you a Brazilian keratin hair straightening treatment by Maria Teixeira. You’re going to love the way it makes you look.